This weekend marked our 5th annual Las Madres family camping trip. (I think there've actually been six, but we didn't go the first year.) It's become a much-anticipated event every summer - the guys get to run around all day and late into the night with their friends, and all the parents get to hang out, socialize, and relax (mostly!). We leave on Friday afternoon and stay through Sunday morning. The boys were so excited this year they were literally leaping and dancing around the kitchen on Friday morning asking me how soon we could leave. This year we had a total of 44 kids and adults spread out over several camp sites at Portola Redwoods State Park - a real gem deep in the redwood forest of the Santa Cruz mountains. 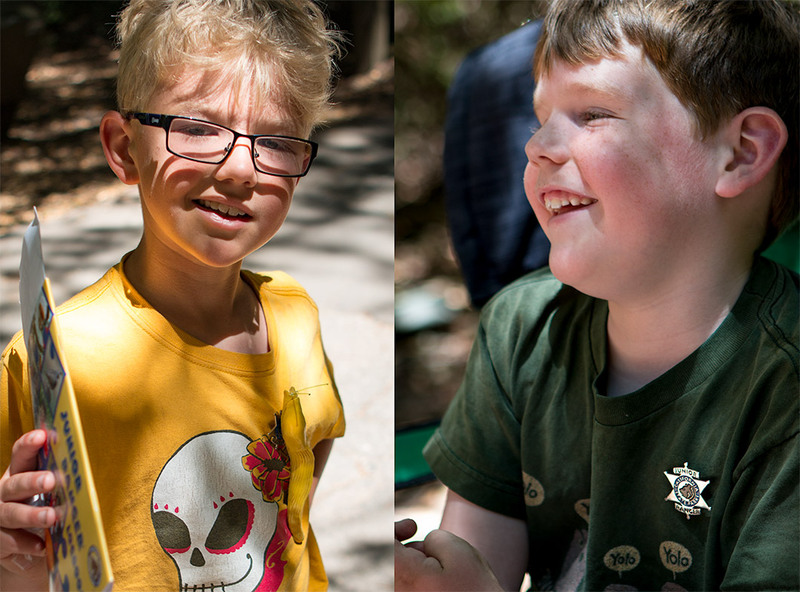 Here's a gallery of our adventures, which included gorgeous weather, giant trees—including one dubbed the "man cave" by the Nack boys—hiking, a crystal-clear stream with swimming hole, Ranger-led Junior Ranger programs, s'mores (of course! ), delicious homemade cookies courtesy of our friends Lorraine and Dina, making sunprints with found items, counting the scores of banana slugs dotting the ground, and religiously reapplying bug spray (LOTS of skeeters this year). And just for fun, here are the galleries from prior years' camping trips. Posted by The Notorious M.O.M.